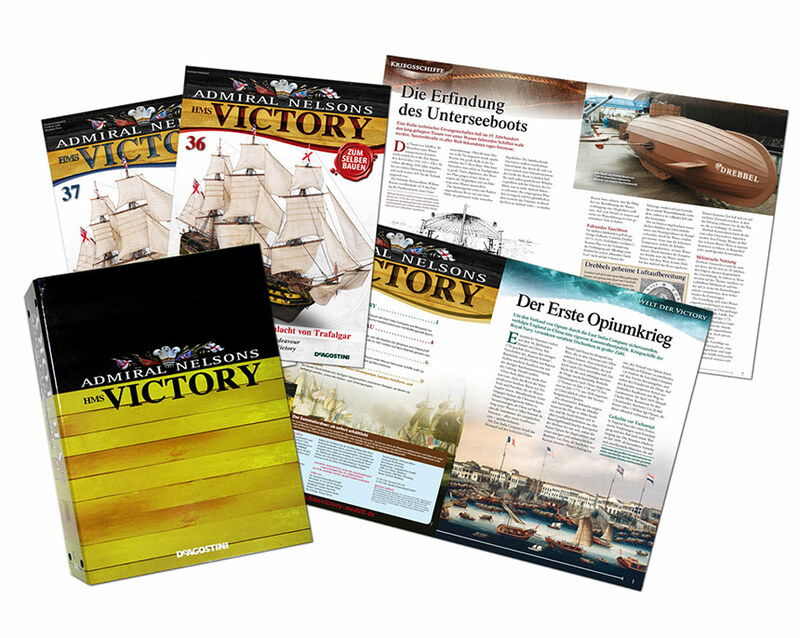 Articles on the history of seafaring, the military and of technology in Europe at the time of Admiral Nelson, accompanying a model kit of Nelson's HMS Victory. From the English original. 150 issues. 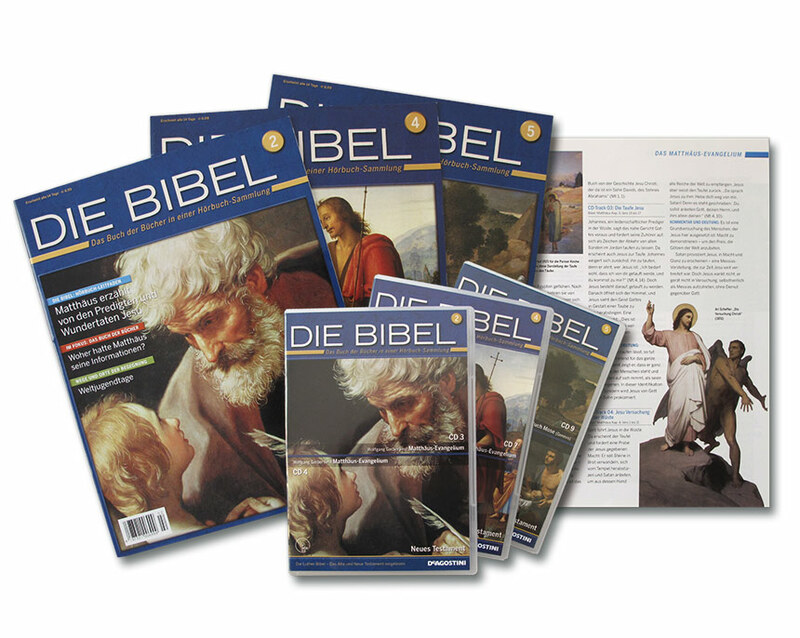 Magazines to accompany a series of audio books, containing verse by verse the text of the Holy Script, narrated by famous actors. 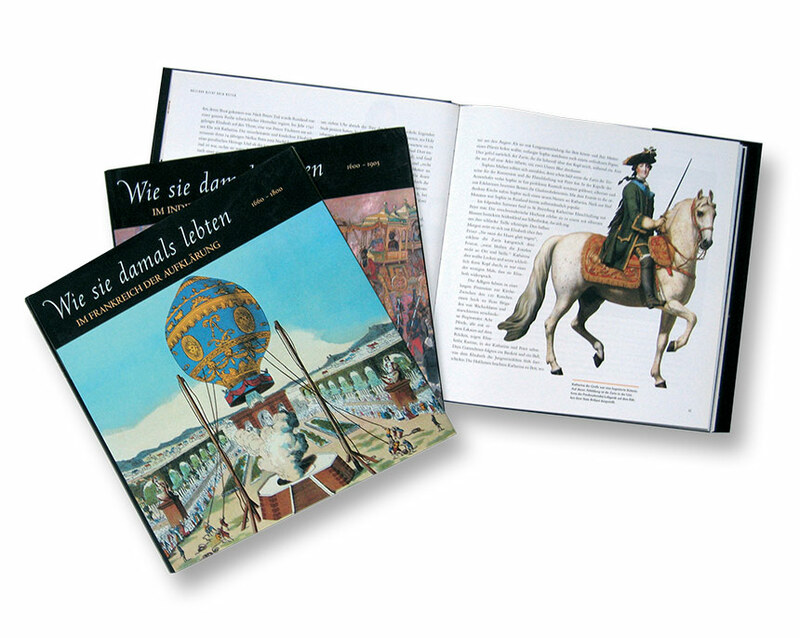 Detailed interpretation of the passages featured on the audio books as well as fascinating background information: the birth of the Bible; the world in biblical times; Christian art and culture; the Church and Christendom; clerical and religious feast days; customs and traditions; religions of the world. Compilation featuring 800 four-sided pull-out reference files on Nazism. Original contributions from historians and journalists covering the conditions leading to fascism, as well as its reality and consequences. 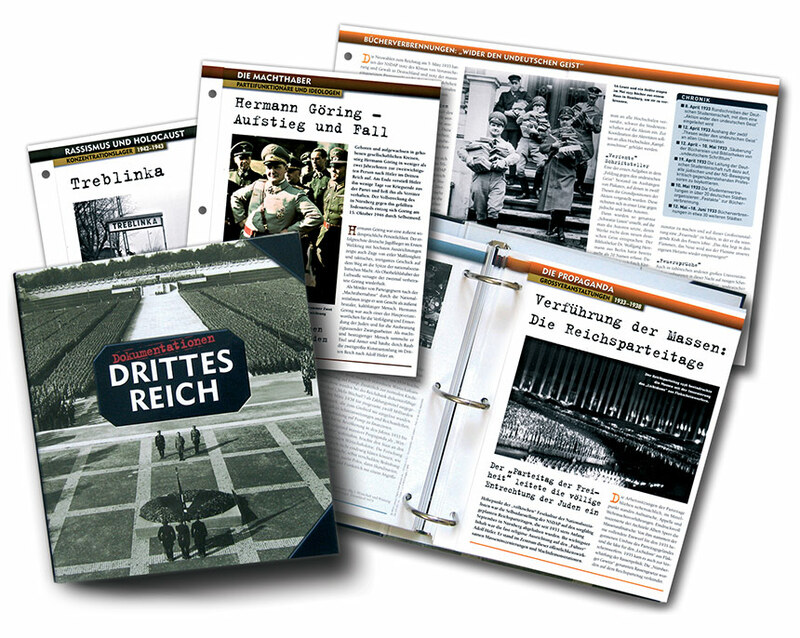 The pull-out reference files are collected in ring binders, creating a comprehensive overview of the “Third Reich“. Allround genius, healer, prophet, artist – a richly illustrated book presenting the oeuvre of one of the great women of the middle ages. 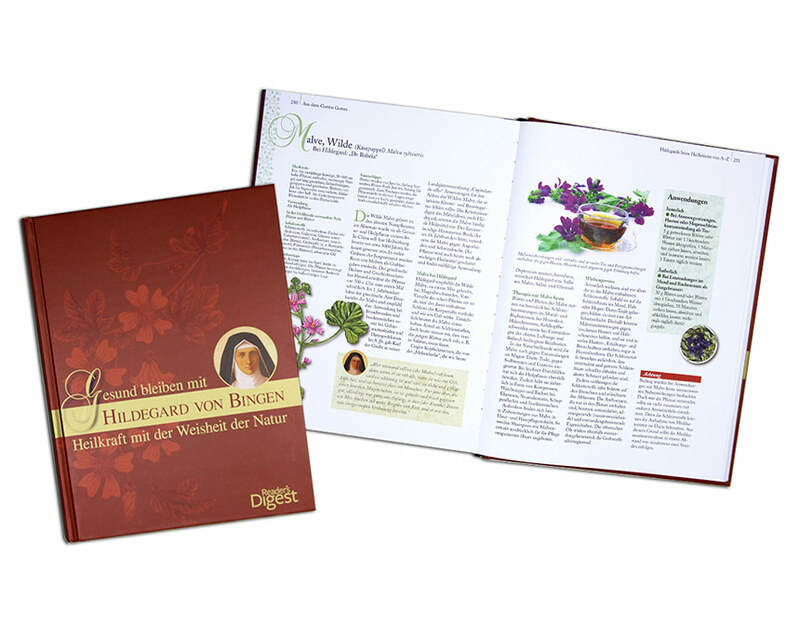 Ways are shown to make benefit of Hildegard's extensive knowledge (ways of healing, recipes, practical advice) in order to lead a healthy life in our modern times. 320 pages. 700-page standard work on myths of the world. The best stories from MYTHEN DER MENSCHHEIT. 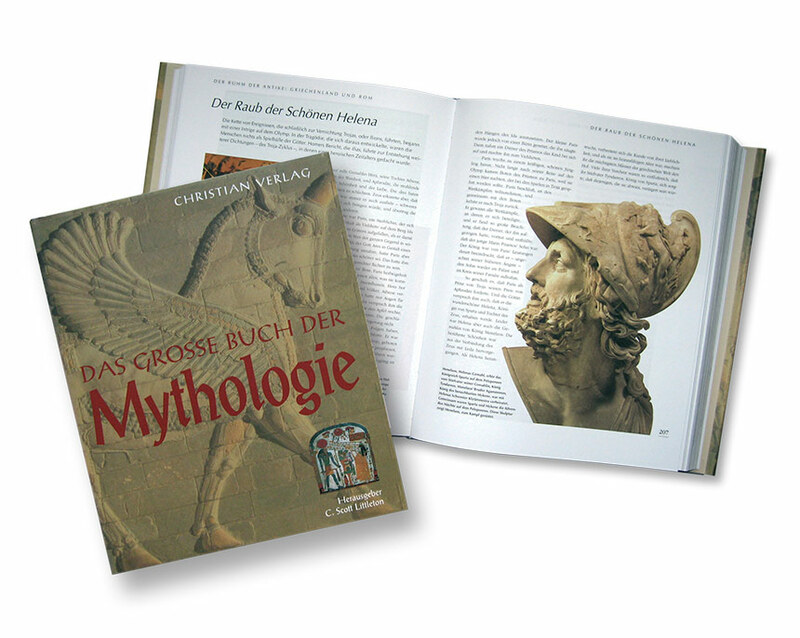 20 volume series of books on myths. 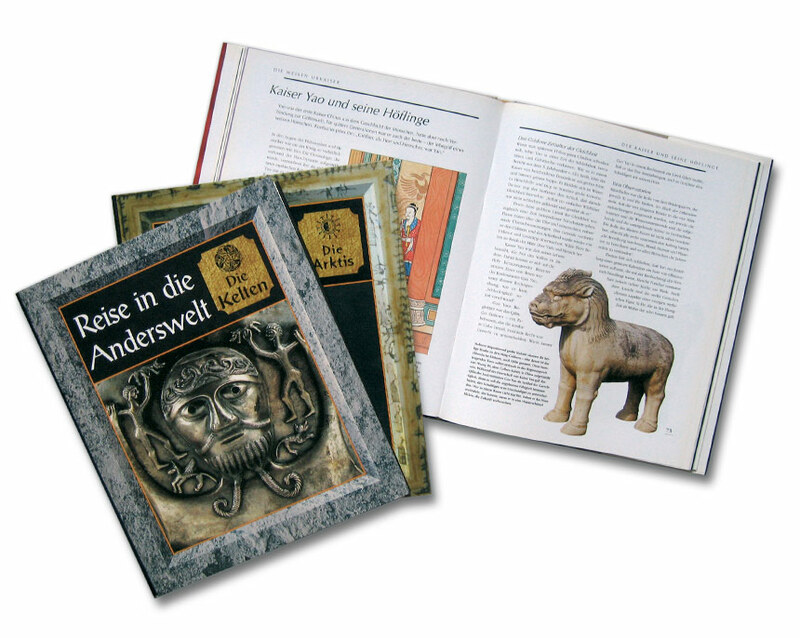 German edition of the English MYTHS OF MANKIND series. 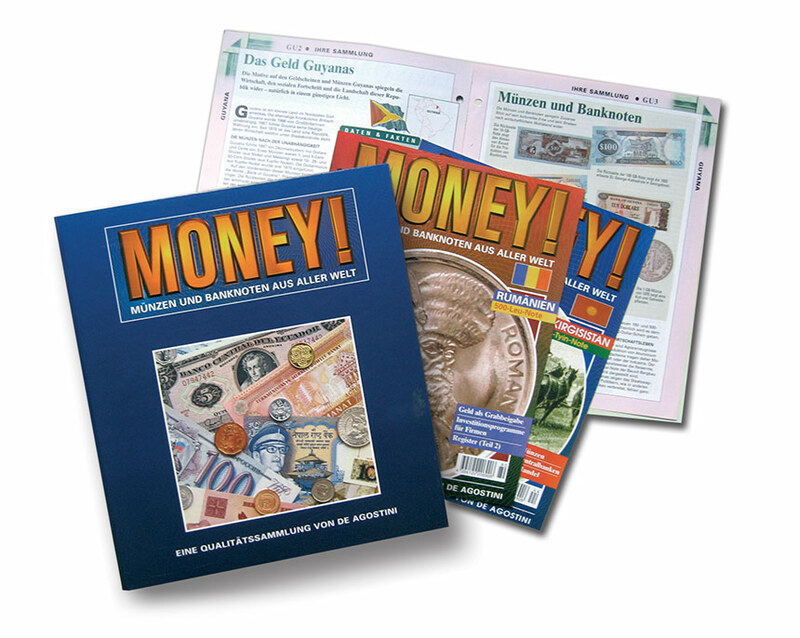 80 Magazines on the history of money. Published for collecting in ring folders. 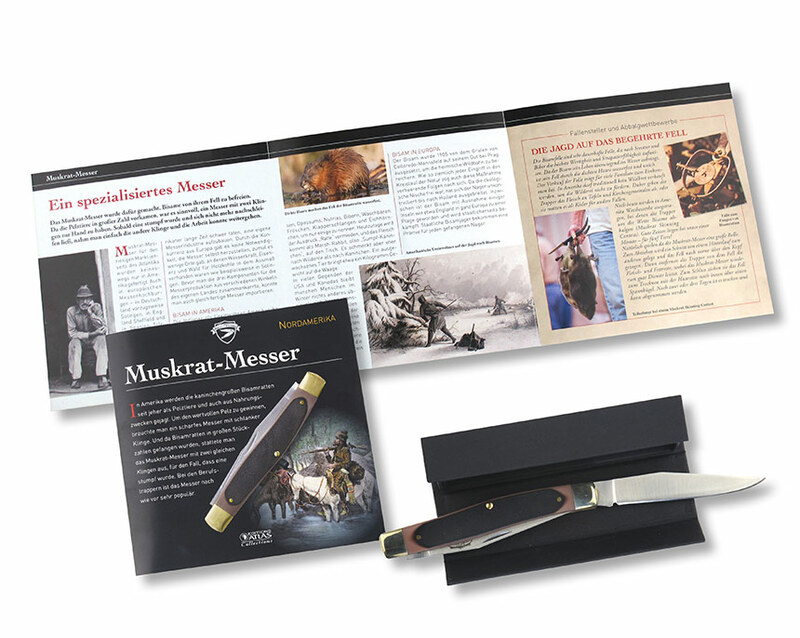 From the English original MONEY, supplemented by new articles. 18-volume series of social history books. German edition of the American WHAT LIFE WAS LIKE series.